Come enjoy a quiet, semi private place to get in shape. Design For Health offers a full work out center in our lower level gym. Patients are encouraged to come in and work out regularly. There are no contracts required! Our doctors want to encourage patients to be healthy and experience life to its fullest! Part of that plan for health includes healthy eating and regular exercise. 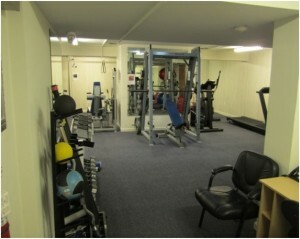 For $30 per month patients can work out as frequently as they like in our low volume gym!